Announcing Summer 2013 free public exercise classes in Essex County Riverfront Park. Beginning Monday, July 8, and continuing through July and August, free yoga classes will be offered every Monday and free Zumba sessions will be offered every Tuesday. Both classes take place in the Meadow, reached by entering the park at Raymond and Brill and walking to the right towards the river. Participants should arrive 15 minutes before class begins, and yoga participants should bring a mat or blanket. M1 bus to Ferry & Chrystie Streets, then walk 2 blocks north. Enter park at Raymond Blvd and Brill St and walk to right towards the river. This entry was posted in Public Programs on June 19, 2013 by NRR. 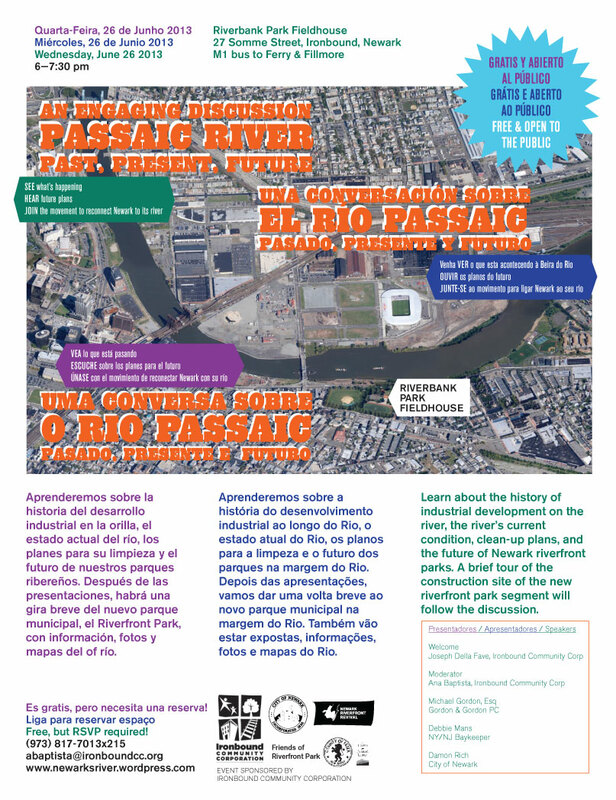 You are invited to join a public discussion about the Passaic River, its environmental condition, and its future, plus get a sneak peek of Newark’s second segment of riverfront park. This entry was posted in Public Programs on June 14, 2013 by NRR. 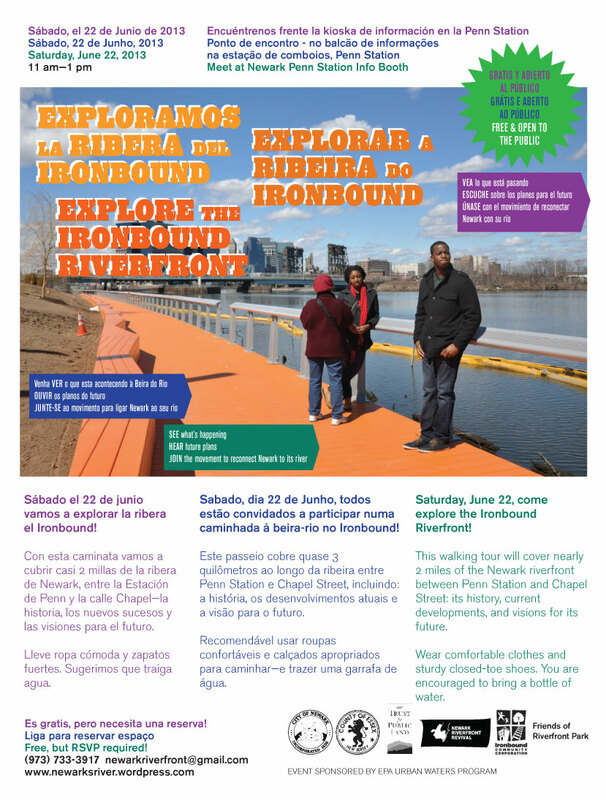 On Saturday, June 22, come explore the changing Ironbound Riverfront! 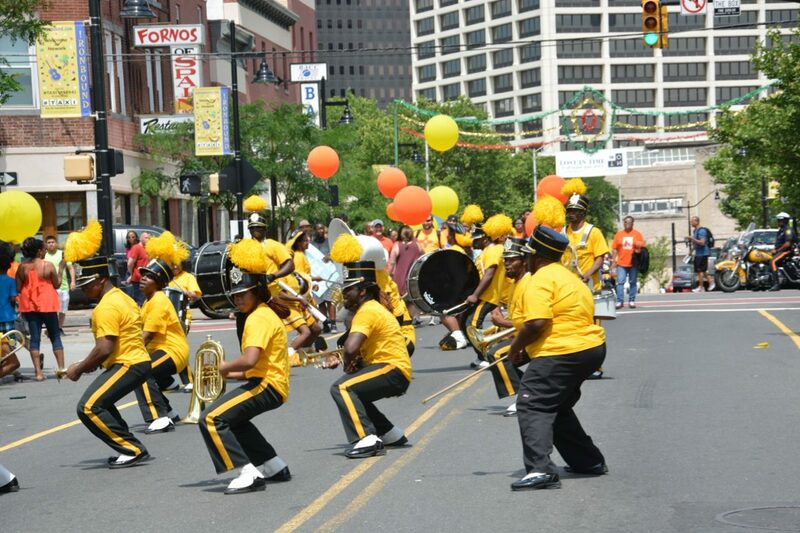 This walk will cover 2 miles of the Ironbound riverfront between Penn Station and Chapel Street. Come see for yourself the environmental clean-up of the old city gasworks, the just-opened Essex County Riverfront Park, and the nearly completed Newark Riverfront Park featuring a bright orange boardwalk. Also hear the stories and meet some of the Newarkers who have organized their neighbors to shape our community. Join the movement to reconnect the soul of Newark to its river. This entry was posted in Building Things, Public Programs on June 11, 2013 by NRR. This entry was posted in Riverfront News on June 11, 2013 by NRR. Shouts out Kevin Blythe Sampson, Newark Public Art Program, Lee Weintraub Landscape Architecture, Essex County Parks, Trust for Public Land, MTWTF, Tomco Construction, Friends of Riverfront Park. This entry was posted in Building Things on June 2, 2013 by NRR.